We finally know the result of the Brexit referendum but what does that mean for the UK real estate market. Inevitably there is going to be a period of uncertainty whilst markets and people adjust to the new reality. This is particularly likely to be the case over the next few months whilst internal political doubts remain over how the results of the referendum will be implemented. The immediate impact is already being felt in the housing sector, with the share price of residential house builders on the FTSE being particularly hard hit by the turmoil. Time will tell if this is a longer term trend or just an initial reaction. Much will depend on how Thursday’s decision and the subsequent events affect consumer confidence as we all know that a stable economy is good for the housing market. However, there is still a housing supply problem in the UK, and will be for the foreseeable future, and it is hoped that the market will stabilise quickly. The falling value of sterling also makes it good value for foreign investors. Short term, the uncertainty in the markets may lead to banks and financial institutions re-evaluating lending on certain types of projects/investments. How this pans out will depend on a number of factors including whether access to funds from the capital markets dries up. This may have a short term impact on the housing and development sectors in particular, but it could provide opportunities for the less main stream lenders to capitalise on primary and secondary lending, particularly those in the peer to peer market. Those mezzanine funders who emerged during the last recession may also be well placed to plug any gap. EU farm subsidies currently make up around 50% to 60% of farm income. It is unclear to what extent the UK government and devolved administrations would match the current level of financial support for farmers although during the campaign the Leave camp did indicate it would be their intention to provide support. Availability of seasonal labour following any changes that are made to the free movement of people and immigration may also be an issue. The issue is really whether Brexit will have a negative impact on consumer confidence in the coming months that will reduce consumer spending in the short to medium term. There is a real risk that if the value of sterling does not recover in the short term it will lead to price increases in the shops and could impact on both profitability and retailers plans for expansion in the UK market. The uncertainty is likely to hit the office market, particularly the central London market, with ripples moving out into the wider area. If London Financial Services lose their “passporting rights” in the upcoming negotiations they will not be able to sell financial services or products in to the EU or the slightly wider European Economic Area, without being separately authorised in each country. Consequently, some services are likely to be relocated to cities within the EU. The BBC reported that Morgan Stanley intended to relocate 2000 jobs to Dublin or Frankfurt and similar moves are being talked about in the press for HSBC and JP Morgan. Nothing will change, probably for more than two years, as the terms of Brexit are negotiated. Much of the law that has come to us via the EU has been passed as UK primary legislation and will remain in force until the UK Parliament decides to change it. 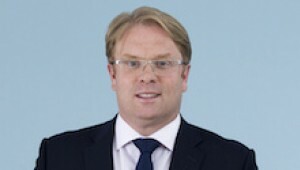 Whether, in the future we can relax some of the legislation we have put in place to implement EU rules (for example, Construction Design and Management Regulations, Disability Discrimination legislation and Minimum Energy Efficiency Standards legislation), which impact on building owners and developers, remains to be seen. First, because not all this legislation has its origins in the EU, (some derives from International agreements) and secondly, depending on the outcome of the negotiations, we may have to adhere to EU legislation as part of a deal that provides us with access to the EU single market. However some EU law is implemented by way of EU Regulations which are directly enforceable. These EU Regulations will fall away after the end of the two year negotiation period. One such area is the recognition of insolvency proceedings. If legislation is not put in place before we leave the EU, UK insolvency officeholders will not be automatically recognised in EU member states, making cross-border insolvencies more difficult and costly. Housing – will demand slow up and house builders go into hibernation? Funding – we all recall what happened when the banks stopped lending in the past. Will this happen again and will alternative funders step in and plug the gap? Farming – will the brave new world (when it arrives!) provide the same level of support as the current schemes? Investment – will UK real estate continue to be attractive for both UK and overseas investors? Economy - how long will it take for the shock of the Brexit vote to dissipate so that businesses feel able again to take decisions on any investment, expansion and relocation plans. If you have any particular concerns please contact Richard Ellard from our Commercial Property team on 01892 701268 or email via richard.ellard@ts-p.o.uk.